No Caffeine and Great Taste! 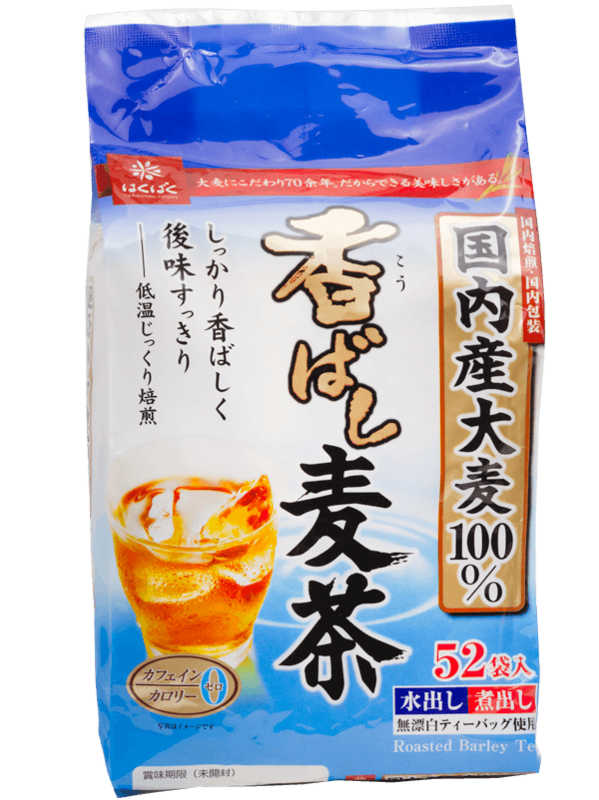 Hakubaku’s Barley Tea imported from Japan (Kobashi Mugicha) is the most popular version of barley tea in the country! The smokey aroma of a freshly brewed cup of barley tea can take away all your worries and calm your senses. Brew just like regular tea- but without the caffeine. Cold: Boil 1 liter of water. Add two tea bag of barley tea to 1 Liter of water. Let stand 15-20 minutes. Pour over ice with lemon or fruit juice for sweetness. Hot: Boil 4 cups water and pour over teabag. Steep for 3-5 minutes. Remove teabag and add honey and lemon. Easy to brew just like regular tea- but without the caffeine. Barley tea can help in detoxifying your body in two ways. First, it cleanses your blood. Barley tea contains a substance called pyrazine that prevents blood coagulation and helps in improving circulation. Secondly, it is great for your liver that helps in excreting all the toxins from your body. It also helps in breaking down the excess fat he body and thus allows your liver to function at its best. One of the best things that you can do to cure a urinary tract infection (UTI) is to drink a lot of fluids to flush out the bacteria from your system. Barley tea which is a combination of nothing but water and barley makes for a great drink that is free of caffeine and can be sipped safely through the day. One of the characteristics of a UTI is the urgency to urinate but not being able to since the bacteria might obstruct the flow of urine. Barley tea acts as diuretic which means that it causes increased passing of urine and thus, helps in eliminating the bacteria along with it. The fibre present in barley and therefore, in the tea helps in regulating your bowel movements, prevents constipation, gets rid of a bloated stomach and keeps your gut clean. It also acts as a natural antacid and can help in relieving indigestion, heartburn or an upset stomach caused due to an imbalance in the gut acids. 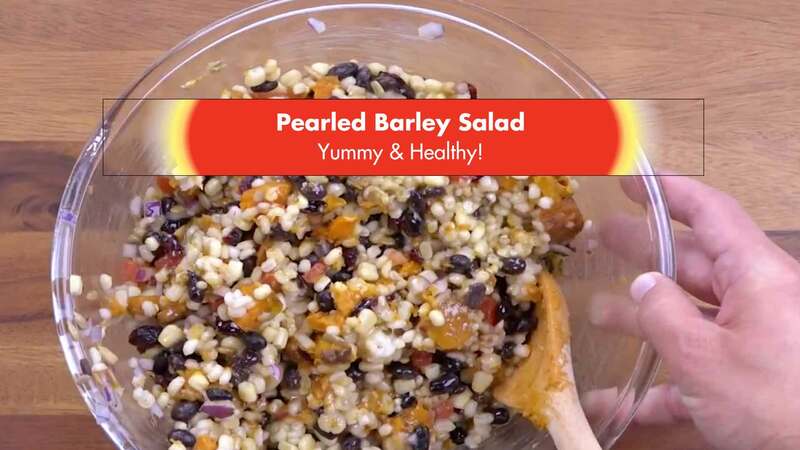 In Japan, barley is considered as a ‘yin’ food. This simply means that it has the potential to cool you from within and bring down your core body temperature. So, grab a tall glass of barley tea on a hot and humid day and feel rejuvenated instantly. Barley tea contains melatonin and tryptophan, which are both active ingredients that promote good sleep. Also, since it is caffeine-free, you can have it before you hit the bed and not worry about your sleep being disturbed. But, remember that moderation is the key. Barley tea contains melatonin and tryptophan that promote good sleep. Barley tea is rich in antioxidants and has anti-bacterial properties too. This makes it a great home remedy for cold and flu. It breaks up the phlegm and relieves you from congestion and even cures a sore throat. At the same time, it also helps in building up your immunity and makes you stronger from within. What tea do you enjoy most? We know there are many..just tell us in the OTHER field.